Join the EOS and become a part of the growing European optics and photonics community! The EOS has more than 4,500 societal, corporate, individual, associate and student members. An EOS membership includes various benefits. Choose a membership mode below and explore the benefits and advantages! 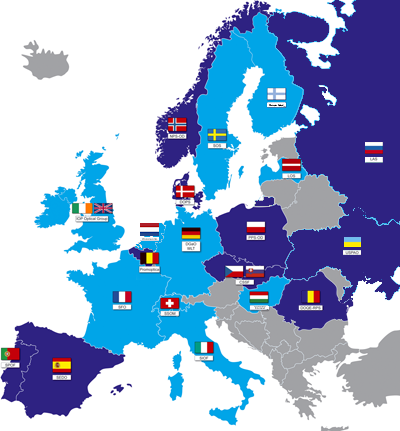 21 national optical societies in Europe are societal members of the EOS. Societies can join the EOS as a Branch or as an Affiliated Society. Build up your professional network and benefit from special rates for journals and events for only 10 Euro per year. Join one of our Affiliated Societies and become an Associate EOS member automatically. Upgrading to a full individual membership only costs 12.50 Euro and brings you all benefits. In addition, any EOS member, regardless of the membership mode, have the possibility to attend most of the meetings of our Partner Societies at member rates.